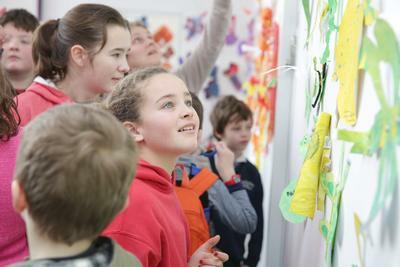 Visual Encounters explores West Cork Arts Centre and its exhibition and residency programmes as resources to the teacher and the child in the classroom. Through classroom-based projects, gallery visits, practical workshops, and talks and discussions for teachers, it aims to develop the teacher’s understanding and experience of contemporary visual art and its connection to Visual Arts Education and delivery of the Primary Curriculum. Visual Encounters is open, explorative and child-centred, creating space for each child’s vision and using visual arts to explore a child’s view of the world. 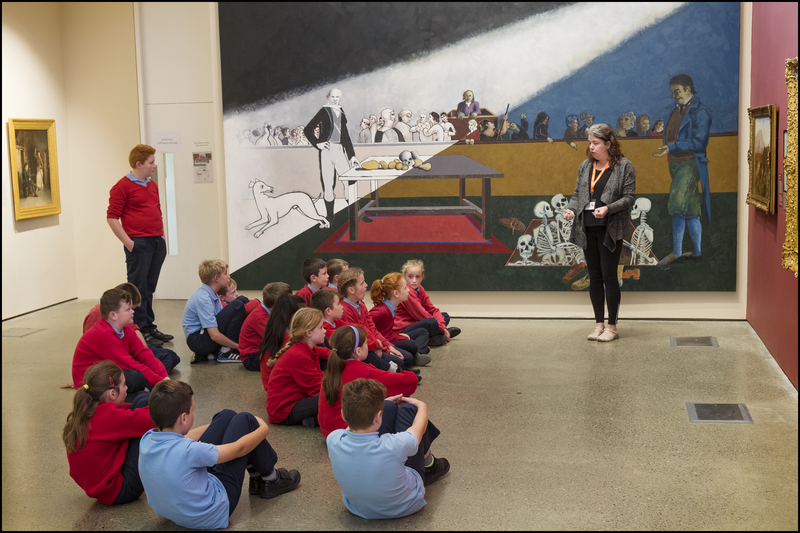 Guided tours of the exhibitions are available for Primary School groups at all times of year. Tours cost €2 per student or €3 if you want to include a practical activity and booking is essential. For more information on any of our Primary School Programmes contact us on 028 22090.